Blizzard takes its time when it comes to releasing a new playable character to join their colorful cast. The Overwatch community has been mentioning Doomfist to be the next playable character, but the latest blog post in the Overwatch website says otherwise, or so we think. In the post, we are given an in-game interview from Atlas News with eleven-year old Eflie Oladele, who was given a genius grant for his achievements in robotics and artificial intelligence. An 11-year old joining the fray? That sounds unlikely. There's no real evidence that Eflie will be the next playable character, but it's safe to say that she is definitely directly tied to the next character reveal. In the interview, she mentioned how she tinkered with drones, and since she's a robotics genius we might see a robotic character built by her? Blizzard is such a tease. The community is going crazy and is hard at work in finding the connections. 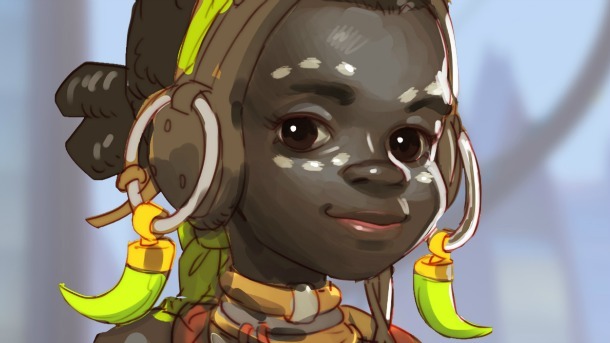 Maybe Doomfist will be coming after all, and Eflie Oladele assisted in his return in some capacity? The possibilities are getting the community eager to know more. In Reddit, folks have been throwing interesting theories and if the Sombra hints were any indication, the fans will have fun time connecting the dots as more info surface. The first mention of Doomfist was during the first cinematic trailer that can be seen below. His weapon of choice is also the first thing we see. Timing seems right for a new character to slowly be teased. Sombra joined the roster last November and since then we had no real hints of the next character until now. Just like all other post content since release of the full game, all upcoming characters and maps for the game will be free for those that own the game. What are your theories for the next character?